New Year, new post... starting with early on a 800th Post, and I cannot believe it either. So any thoughts for the new year, what are you going to change, improve or add to the year 2011. As you all know, I started a site with my art and am beginning with retro-movie characters. With the job market next to nothing and being a door greeter sounding better everyday, I thought I would start the year with art/design. Please take a look [link above] let me know your thoughts and with my blogging the question is where do you go from here? I hope to share more of me and all the new friends I am making. Anyone you want to see as a Zombie, that you were like... hey that person would make a good zombie? Ps. iZombie's Art Store "Olive Zombies"
800th post! Wow. I'm in awe. 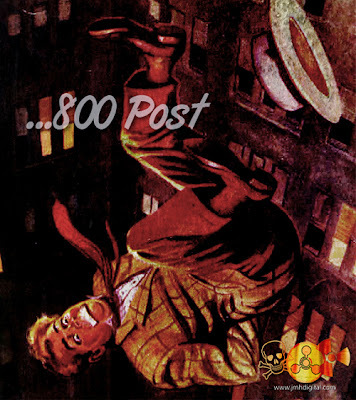 Congrats on the 800 posts!! Looking forward to what you have in mind for 2011.
i know 800, i didn't think i had it in me... i have know idea what to do next...abe vigoda...interesting?